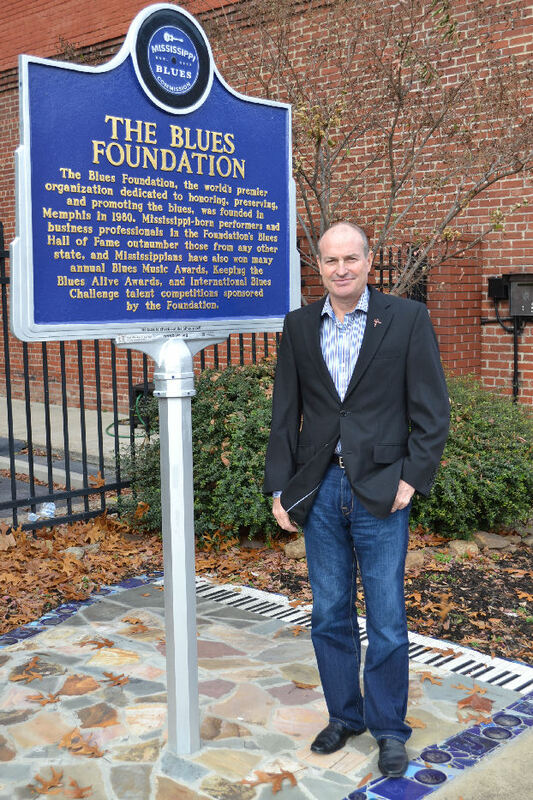 Headquartered in Memphis, The Blues Foundation is recognized globally as the leading organization dedicated to preserving blues music and its legacy while celebrating recording and performing excellence; and supporting blues education ensuring the future of one of America's most treasured art forms. Jay Sieleman is the president and CEO of The Blues Foundation, a position he accepted after two decades as an attorney. Prior to his appointment to The Blues Foundation in 2003, Sieleman was legal counsel in Panama for the Panama Canal Commission. In January, Sieleman presided over the International Blues Competition, and in May will preside over the 35th Blues Music Awards -- universally recognized as the highest accolade awarded to musicians and songwriters in this genre. Here's a little insight into the man who influences Blues societies across the country and around the world. I worked for the Panama Canal as an attorney for almost 13 years but my work was finished about 10 months after the Canal transfer at the end of 1999. So it was not a matter of Memphis over Panama but rather Memphis after Panama. I had been a blues tourist to Memphis a number of times. Both locales are fun loving and both organizations are unique in the world. I just finished Down the Mississippi by Neal Moore (he canoed the Missississippi and spent some time in Memphis and Clarksdale. I have moved on to Brazil by John Updike. In part because he is a friend of mine and partly because I feel at home in Dinkins Bay, Randy Wayne White. With consumable music available from every dispensary known to man, what's the best way to keep American roots music relevant? The quality of the music makes it relevant for all time whether it has broad popular support or not. Name your top three favorite brews. Sierra Nevada Celebration Ale, Yazoo Hop Project, and Hop Ottin'. Electric but I am more interested in the singer and the song than the guitar. What is the first song you remember hearing that you had to hear again? What is the first LP you bought? Something poppy like Spanky and Our Gang or the Association!! How old were you when you discovered the Blues? Which artist is responsible for flipping that switch? I heard "The Thrill is Gone" when it was first out and top 40 but the discovery did not stick until the 1994 Ultimate Rhythm and Blues Cruise. The flip was really switched by Luther Allision and then Taj Mahal. Which visual/fine artist most inspires you? Which publication do you have to read daily? I start with the local newspaper in the morning. Memphis Commercial Appeal. That is way over my head. The question is "can you dance to it?" Which comedian, living or dead, would you most like to have lunch with? Probably Bill Murray. He seems like the type of guy to have a beer with his lunch.